Lantana is woody and heavy flowering perennial, or annual depending on location, that is both reliable and beautiful in any landscape. Lantana is native to central and South America and is both heat and drought tolerant. Depending on use and hardiness zone, it can become a mid-sized evergreen shrub or a low sprawling ground cover. While it is perennial in many areas, it is also often used for annual color in landscape beds and containers. Some new hybrids have a very compact habit ideal for flower beds or narrow perennial borders. Lantana blooms profusely in varying shades of white, orange, red, yellow, pink, and purple; as well as mixed colors. The blooms attract a wide variety of butterflies to the garden. The most common lantana species include L. camara (shrub) and L. montevidensis (low-growing groundcover). There are many hybrids available. Lantana is fast growing plant that is typically disease and pest free. Be sure to plant Lantana in full sun for best bloom display. In the right conditions Lantana can reseed freely but its offspring are typically not true to variety. 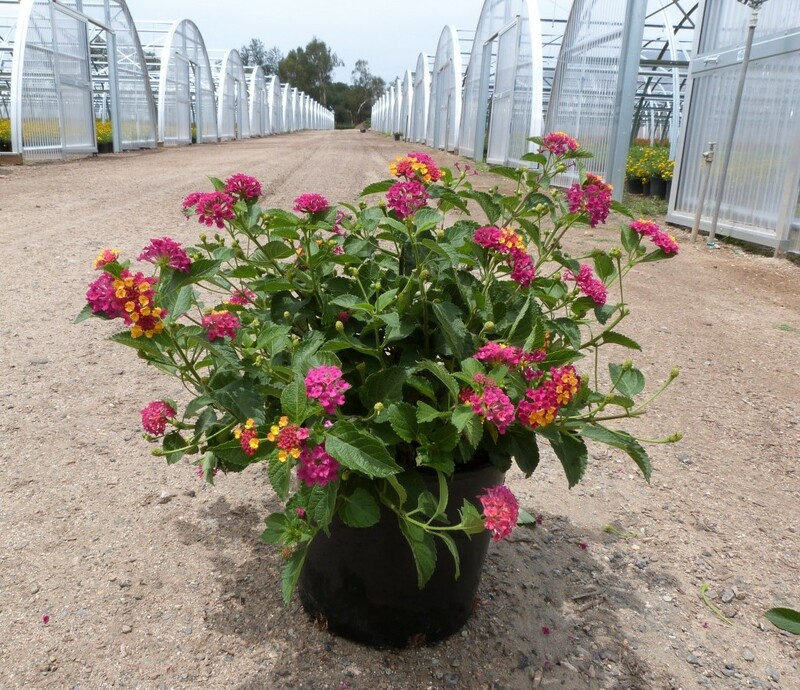 Lantana can tolerate poor soils but prefers well-draining soil and medium moisture.